For the rest of this month, when you hit specially designated winning events in blackjack, roulette or video poker, Juicy Stakes will pay you an extra bonus on top of your win. A total of $5000 will be awarded between now and December 31st. Special events in any of the casino’s four Blackjack games win bonuses: Blackjack, Face Up 21, Double Draw, Perfect Pair. The first 50 players to hit a Diamond Blackjack (natural Blackjack in Diamonds) will each win an extra $5. 25 players will receive a $10 bonus for Small Suite 21s (6, 7 and 8) and 25 lucky players will get $20 for a Big Suite 21 (Ace, 2, 3, 4, 5, 6). At the American Roulette or European Roulette wheels, five consecutive wins with red numbers wins an extra $5 for 25 players. 5 Consecutive Lows pays $5 for 25 players.5 players that hit every single number from 1 to 36 (even over several sessions) will get a $100 Roulette jackpot. $5000 in bonuses to be paid for special events in casino games like blackjack and roulette. Juicy Stakes has ten video poker games (Deuces Wild, Bonus Poker, Double Bonus Poker, Jacks or Better, Aces and Faces, Double Joker Poker, Tens or Better, Joker Poker Kings, All American Joker Poker Aces or The Saloon) and all of them will also pay special jackpots. A Full House pays $5 to up to 50 lucky players. Four of a kind will give 100 players a $10 bonus. A Straight Flush pays $50 to up to twenty players and ten players that get a Royal Flush will get an extra $40. 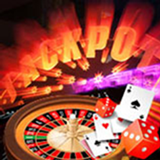 These bonuses will also be paid to Caribbean Stud, Casino Hold’em and Let It Ride players.